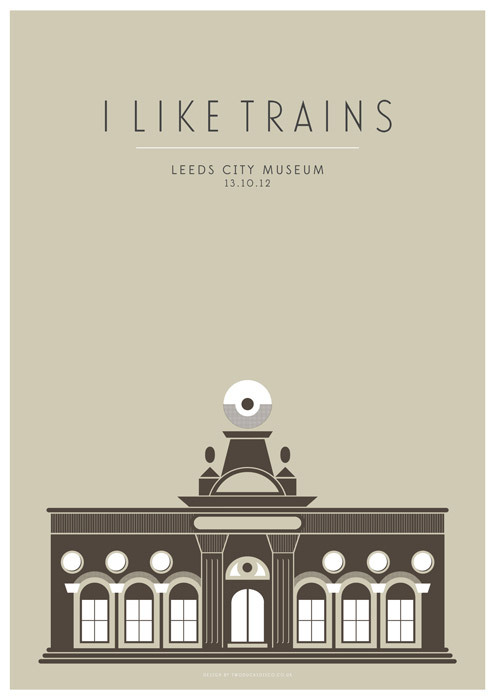 Well yesterday was an interesting cultural day as the afternoon saw me in the company of the great storyteller Michael Morpurgo before heading to the City Museum to see storytelling of a different nature through the sublime Leeds band ILikeTrains. I was first introduced to the band by a friend when their debut mini album came out and was instantly seduced by the angularity of the music and songs of intelligence covering subjects such as the maverick genius Bobby Fischer, Robert Falcon Scott and the dismantling of the rural railway system by Richard Beeching. Any band that is going to look to tackle the Beeching Report in song or the only ever assassination of a British Prime Minister, Spencer Perceval, is going to get my attention. What the band manage to do is to accompany these characters and times from history with a rich haunting melancholy arrangement which should see them being a much bigger band than they are. I’ve seen them a few times and they have always managed to translate the intensity of their music well to the live stage which is no mean feat so I was looking forward to seeing them play a totally new venue taking over the City Museum. Big credit must go the museum I think here which looks to be using new ways to attracting people to what is a jewel in the city as this gig followed up on last weekends Leeds Light Night where they had they doors open till well into the evening. 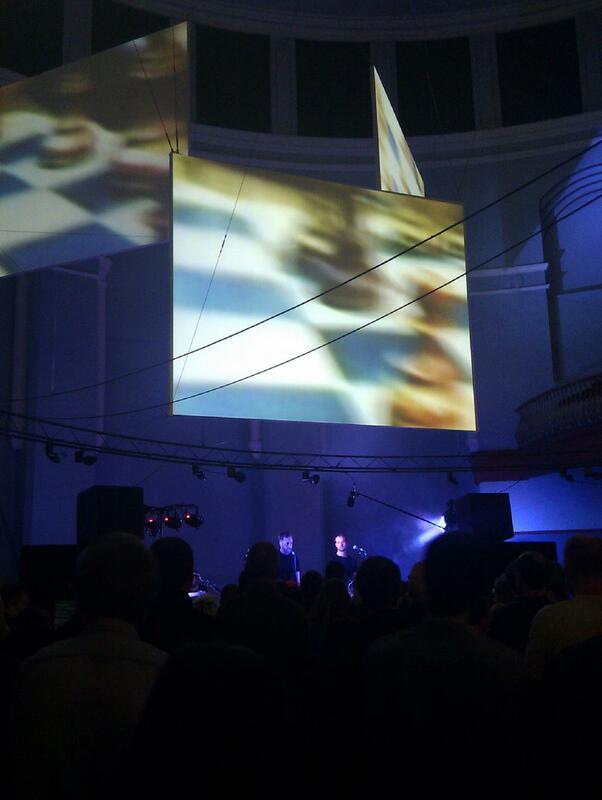 The gig was in the central hall, which for those who have been to the museum will know, is a great space and everyone was having fun finding where they lived on the huge city map on the floor – I watched the gig from Stanningley before moving further away to Gildersome to enable me to take in the full visuals. Found out that the lead singer lives in the same part of Leeds as me as he asked who was standing on it. Now playing gigs in unusual venues has been done by quite a few bands no more so than British Sea Power who ILikeTrains have supported at their annual Tan Hill bash. It can work but I’m always slightly wary that bands can become fixated on the novel venue and forsake the sound quality which can be lacking in temporary set ups. I was a bit concerned that this might be the case here as the central hall has a huge domed ceiling but the band had clearly thought of this and my fears were misplaced as the sound was great both for ILikeTrains and the support bands Sam Airey and Post War Glamour Girls. The temporary bar was selling their own beer and ILikeTea was being sold at the merch stall. The central hall has five huge video screens that the band used to the full effect throughout. Their sound is, I feel, cinematic in flavour and with the screens in full use it added something special to the evening. My only disappointment was that they did not have some of their quirky stop motion early videos playing. It was a unique and special occasion to kick off their new tour, but despite the grandeur of the surroundings I could not help feel that their music is more suited to intimate venues like the Brudenell. Hats off to all involved though, a great band who deserve much more recognition, produced a superb show in a unique venue. As they launch out on tour, if they pass your way go and see them, I doubt the venue will be as impressive as this but I bet the gig will be.